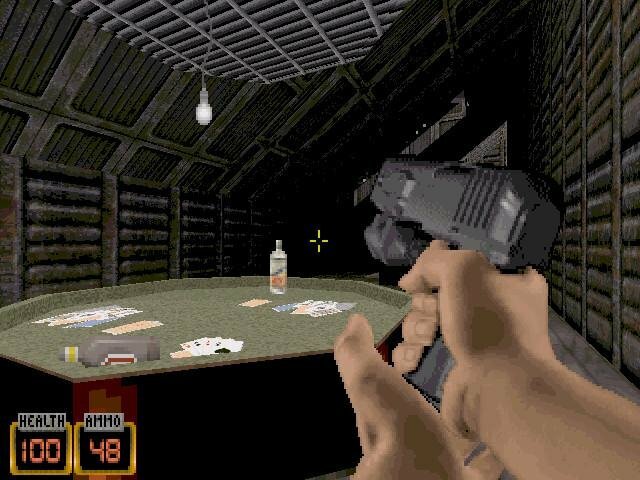 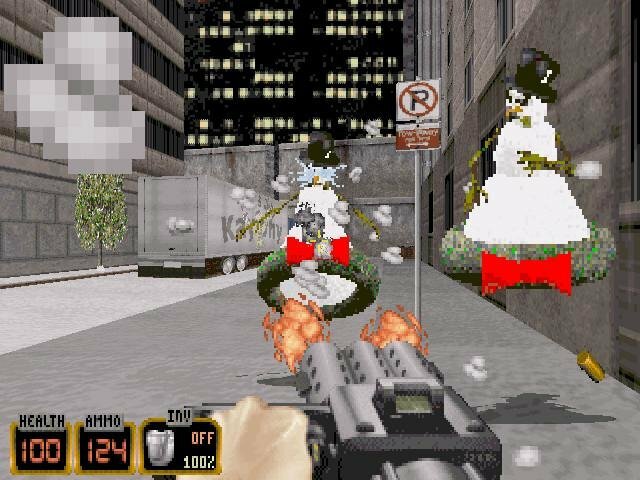 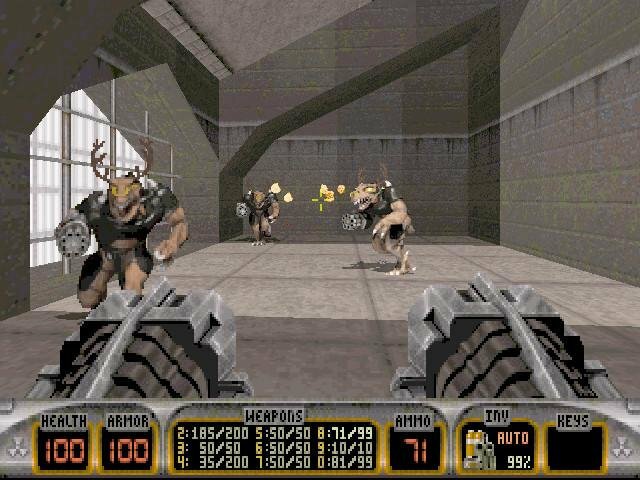 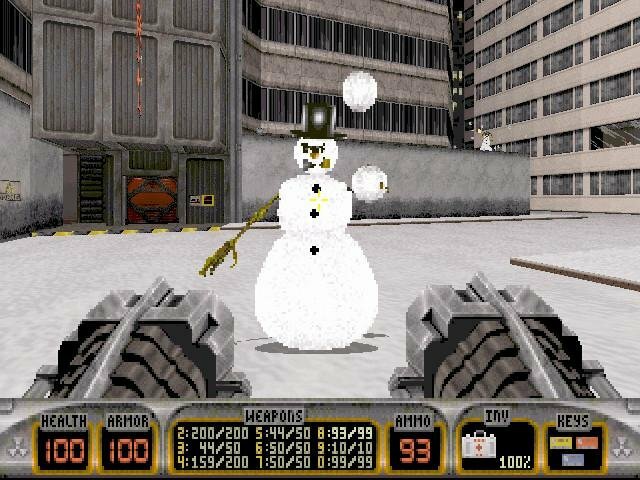 So Duke Nukem 3D was never about originality, but there has to be a limit on how derivative and pointless a product can become before you throw it out on the snowy curb. 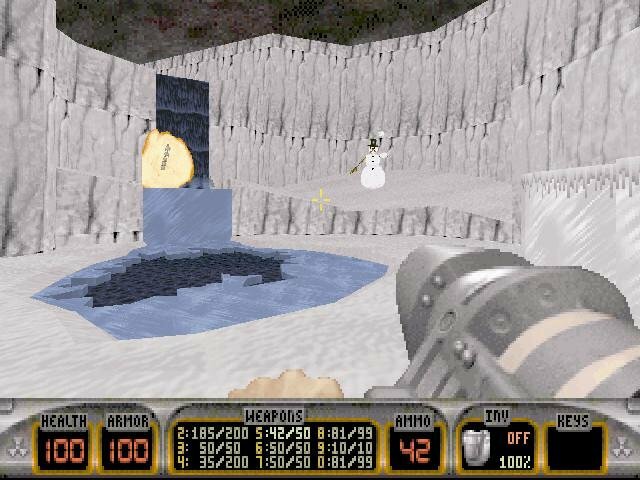 Despite its clever-sounding name, Nuclear Winter is a grossly underachieving add-on for the Duke. 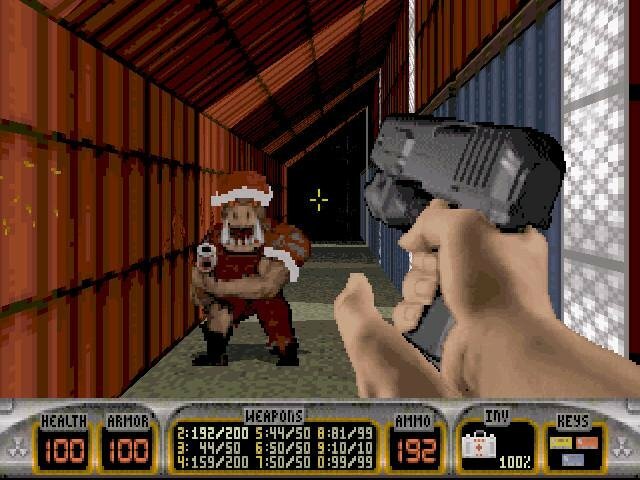 As far as the story goes, the aliens are back, and this time they’ve brainwashed Santa into being evil. 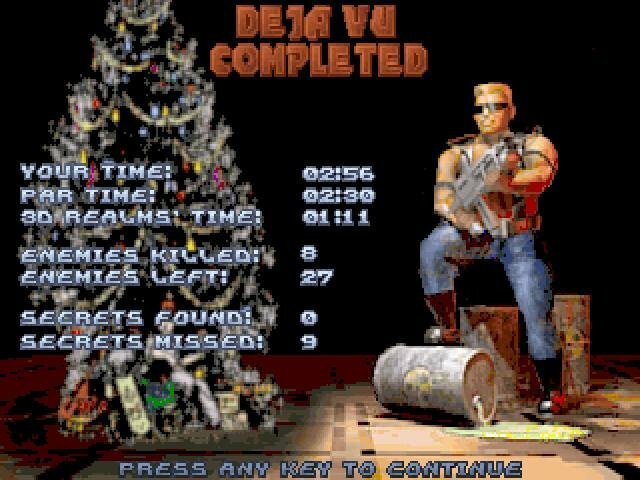 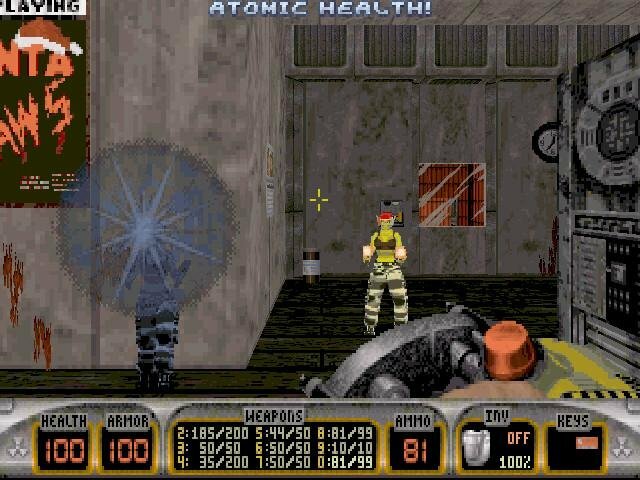 Naturally, it’s up to Duke Nukem to blow everythin up and have a jolly good time doing it. 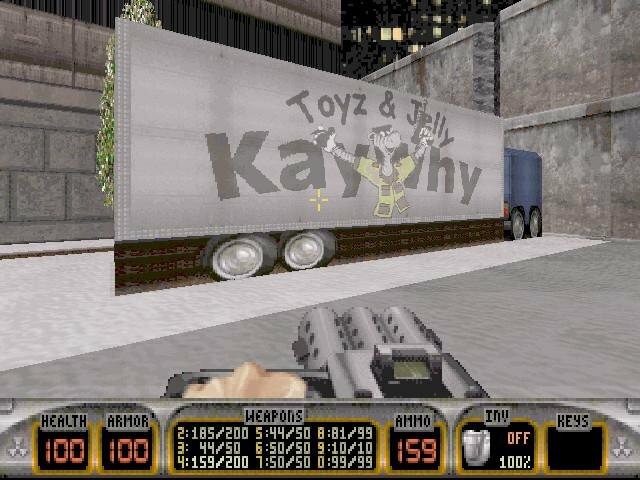 If it sounds bad, wait till you see it. 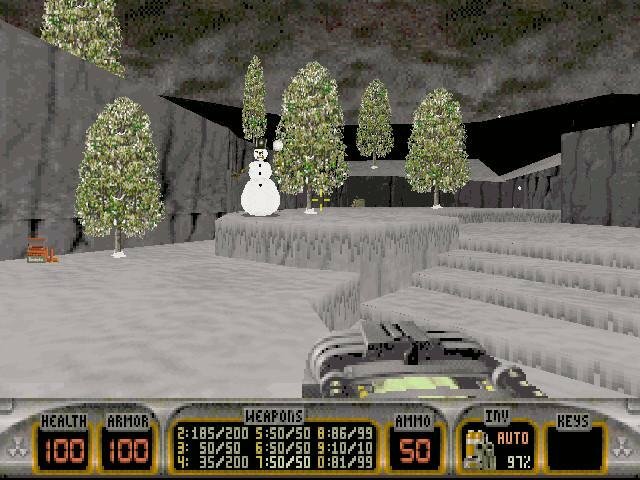 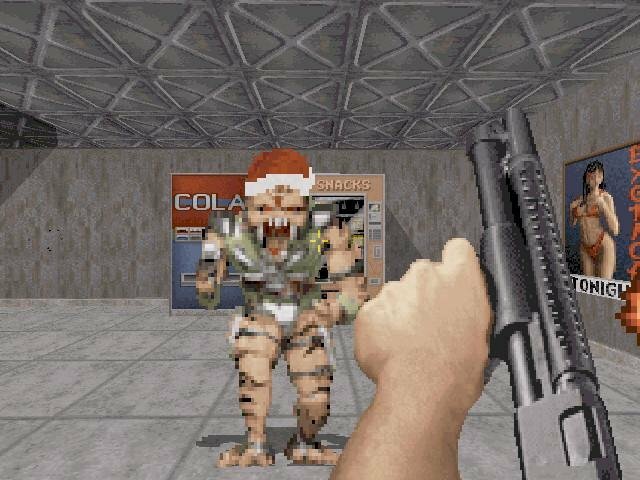 Winter’s first couple of levels are unsubtle repeats of the first pair from the original Duke Nukem 3D, while the rest of the seven included missions are consistently drab, muddled key hunts with too much backtracking and too little atmospheric variation. 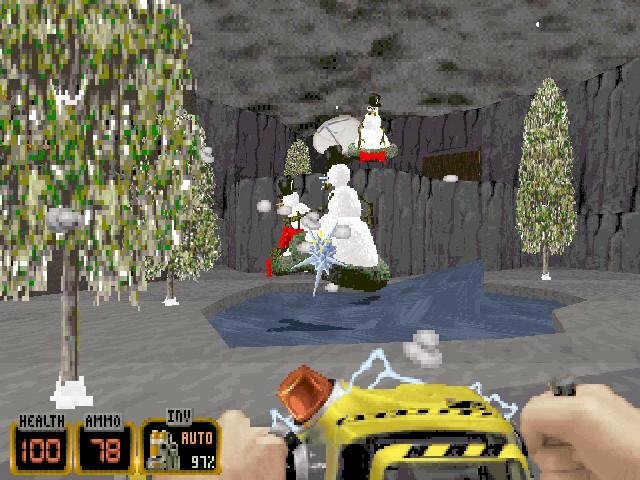 Co-op play isn’t supported, there’s only one Dukematch level, there aren’t any new weapons, and most of the “new” enemies behave just like the old ones with new sprites. 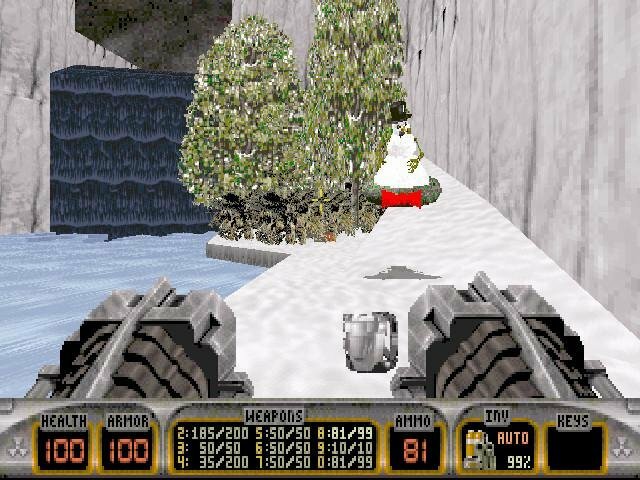 Nuclear Winter also lacks much of the environmental interaction typical of Build titles, although it does provide a few gags like Santa action figures and toy assembly lines. 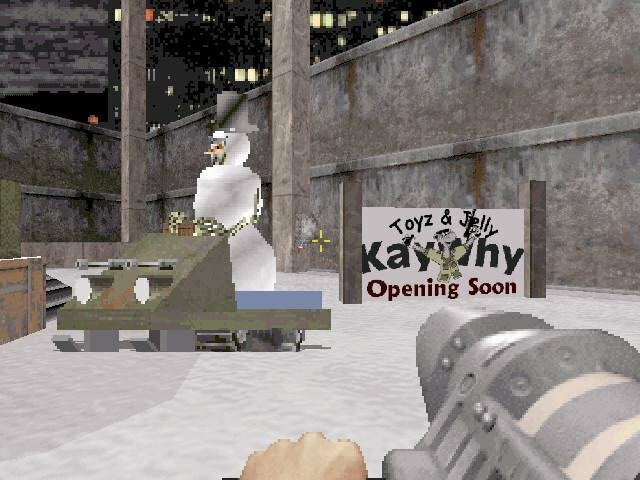 There’s little value to be had here overall, and fans of DN3D are better off playing other mission packs this winter.